UPDATE: Apollo has unfortunately discontinued selling the Endeavour kit. It has been replaced by the new and superior Apollo OHM GO vape pen. While Apollo E Cigs is a large brand in the US, it is a brand that many e cigarette customers in the UK have never really heard about. There are perhaps one or two other reviews about them online in the UK. This is a shame because Apollo offers futuristic technology and many other enhancements that oftentimes are not replicated by other e cig brands. 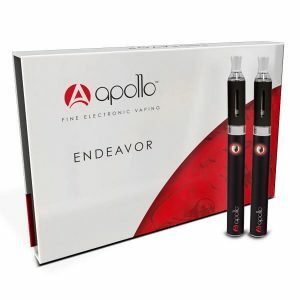 It is for this reason that in our previous review of Apollo, we mentioned that if you are looking to purchase a vape pen, the Apollo Endeavour is the way to go. Do we still feel that way? Let’s take a look below. The Apollo Endeavour batteries are, without a doubt, the best performing batteries in their class that we have tested. You will receive two 900mAh light up batteries that last for a ridiculous 12 hours. Not even the most serious vaper will go through 12 hours of usage per day. This baby can last the average user about 2 days’ worth of vaping without having to charge it. And to top it off – you would be under the assumption that due to the power of the battery, it would take quite some time to charge. This is not the case at all. Charging these Apollo batteries will take you four hours. Keep in mind that this is a very powerful battery so each drag packs a punch. In our initial Apollo review, we pointed out that one of the best benefits of using Apollo E Cigs is “consistency.” It is very difficult to find a consistent performing e cigarette (in all aspects of performance). Not with Apollo. The battery is consistent (there is no “airy” vapour). The throat hit is consistent. The flavour is consistent. But most of all? The vapour volume is consistent. More so than their batteries, this is the most notable part of the Endeavour Kit. Due to the power of the battery and the premium quality behind their e-liquids, the vapour volume is as pure as you can get from any vape pen (aside from the V2 Cigs Pro Series range). Remember, this may be too powerful for beginners, but for anyone looking for that next level? There is no comparison to vapour volume when it comes to what the Endeavour offers. Like any vape pen/tank system, there is a bit of a learning curve if you are coming from the world of cig-a-like electronic cigarettes (and especially if you are new to e cigs altogether). However, Apollo did a great job with usability. The battery is easy to operate with a simple “5 click” on/off feature. Attaching the 1.8mL EVOD clearomiser is a breeze – simply screw it on and within a few seconds you have a fully functional vape pen. As for dripping the e-liquid, Apollo uses the standard method here. Simply unscrew the clearomiser from the battery, unscrew the coil from the clearomiser and drip e-liquid. We would like to point out that you should keep an eye out on the amount of e-liquid remaining in the tank. There is a slot on the clearomiser showing how much e-liquid is left. If the tank is empty, you will likely burn out the coil. The Apollo Endeavour Kit is priced way higher than every kit mentioned in this category. However, it is not a fair comparison since you are getting so much more with Apollo than other kits in this section. Moreover, the value you receive with this kit is fabulous. The Endeavour Kit is priced at £48.95, however with our 20% coupon, the price drops to £39.16! That is a better price than the JacVapour Series E Kit. This is, by far, the best value vape pen on the market. Our only qualm with Apollo is their customer service. Though their support is excellent, they are unavailable over the weekends. So if you have an enquiry on Saturday, you will likely have to wait until Monday for a reply. Other than that, their reps are helpful and understand their products, making it easy and efficient when talking to them. Apollo customer service operates during the week Monday-Friday 9AM-5PM. You can reach them via phone or email. Apollo offers a 30 day money back guarantee. They also offer a limited lifetime warranty which covers battery and electronic components only, and is for the product’s lifecycle. That lifecycle generally lasts between 60-180 days. Apollo uses Royal Mail with tracking (you can track your order in your Apollo account). 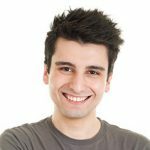 Apollo says that orders will arrive between 2-7 working days. You are most likely to wait 2-3 days for your package. Top of the line engineering. Longest lasting and most powerful battery in their category. Outstanding consistency across the board, especially in regard to their flavours and vapour volume. Apollo is in a league of its own. So yes – if you are looking to enter the world of vape pens, the Endeavour Kit is the way to go.